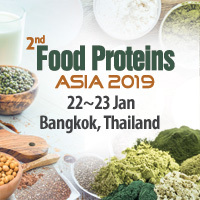 CMT’s 2nd Food Proteins Asia held on 22-23 January, 2019 in Bangkok highlights the shift towards alternative protein sources – especially plant-based proteins such as soy, chickpeas, peas, hemp, cassava as well as new innovations and regulatory framework. Demand for protein fortified food is on the rise while there is also a growing shift towards alternative and plant based food protein – from chickpeas to peas to insects. On 22 & 23rd January 2019, food ingredients companies, brand owners, insect protein producers, food manufacturers and several others are convening in Bangkok for a 2 day summit discussing the future of food proteins market in Asia. 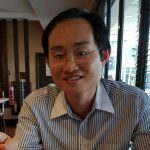 Organizer, Centre for Management Technology (CMT), confirms that agribusiness group – Wilmar International will present a paper on the ‘Future of Plant Protein in Asia’ addressing technologies, driving factors for plant proteins habits and more. Thailand’s Tipco Foods, which recently launched its first plant-based protein beverage in the country, will speak about Thailand’s market for high protein drinks while Vietnam’s TH Food reveals how it is ‘Expanding its Portfolio into Plant Based Milk’. The summit will sum up with sessions on ‘Disruption of the Protein Industry’ from a Venture Capitalist Perspective by New Protein Capital, ‘Labelling Regulations on Protein & Novel Protein Ingredients with Focus on China’ by Keller & Heckman and ‘Challenges for Protein Processing Diversity’ by Improve SAS.